Establishes and maintains 20 degrees of lateral turn without compressing or losing shape. 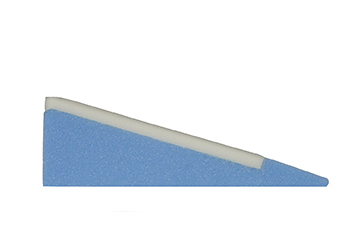 A firmer grade of High Resiliency foam provides support while a thin layer of visco‐elastic memory foam redistributes pressure on the patient contact surface. Supports the torso from the shoulder to the hip and from the shoulder to the spine. 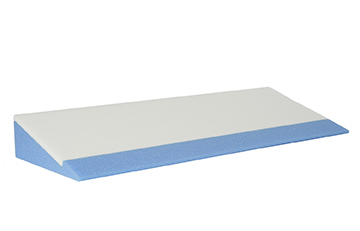 Manufactured of high‐density, anti‐microbial, hypo‐allergenic and latex‐free foam.